Know anyone still looking for a wedding venue? Pass this on to them! 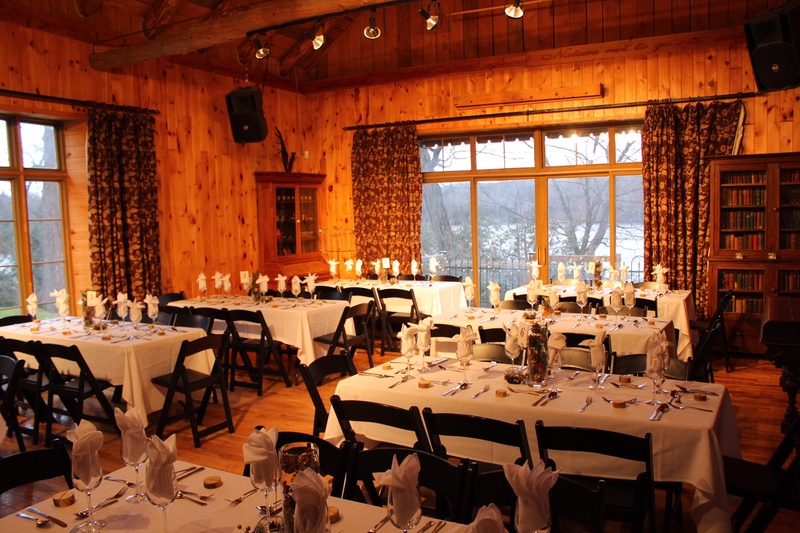 La Grange de La Gatineau located in the Quebec area is a perfect venue for those looking to host a rustic wedding. If you would like a few ideas on how to decorate this, read our lovely blog: Using burlap to decorate your wedding venue or rustic and vintage decor ideas. 80 ch. Summer in Cantley, QC. La Grange de la Gatineau is a distinctive meeting and event center located only 20 minutes from downtown Ottawa/Gatineau. For ultimate privacy, each wedding has exclusive use of the historic facility in its idyllic woodland setting. Spring, summer and fall outdoor wedding ceremonies are romantic and beautiful on the lush lawns overlooking the Gatineau River. Any season of the year, the magnificent Great Hall, with a cathedral ceiling and panoramic windows is also available for wedding ceremonies and receptions. The Executive Chef offers an imaginative, fresh menu served by their accomplished servers. The breath-taking La Grange de la Gatineau will make memories for a lifetime!